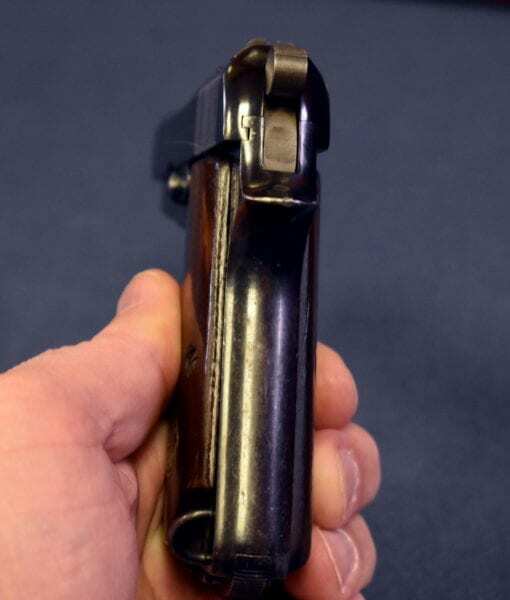 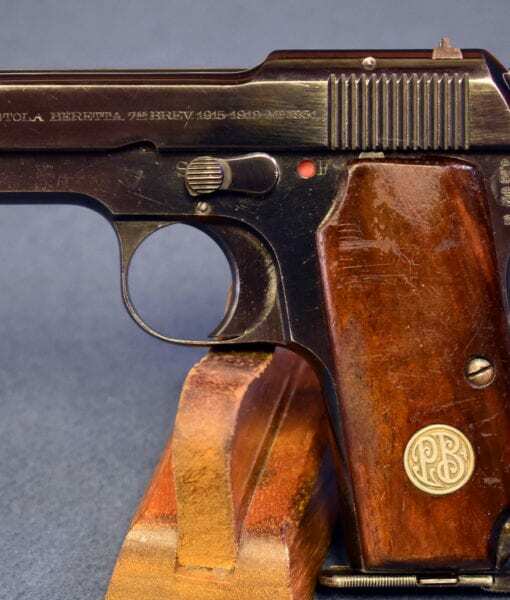 SCARCE BERETTA MODELLO 1931 PISTOL…1933 PRODUCTION….FASCIST GOVERNMENTAL OR OFFICER ISSUE….VERY CRISP! 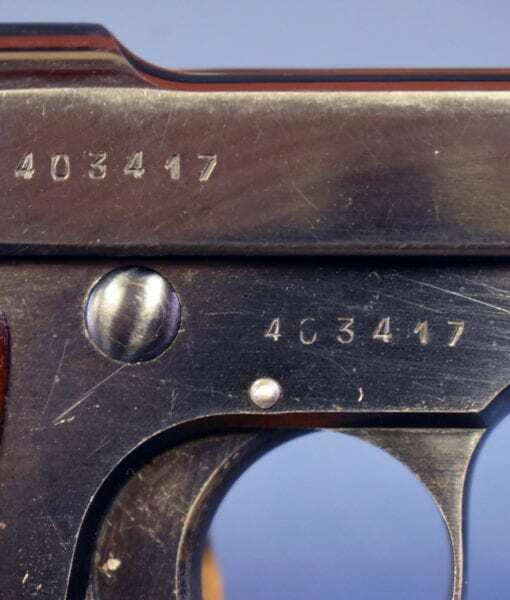 As Beretta pistols go, this is a real score. 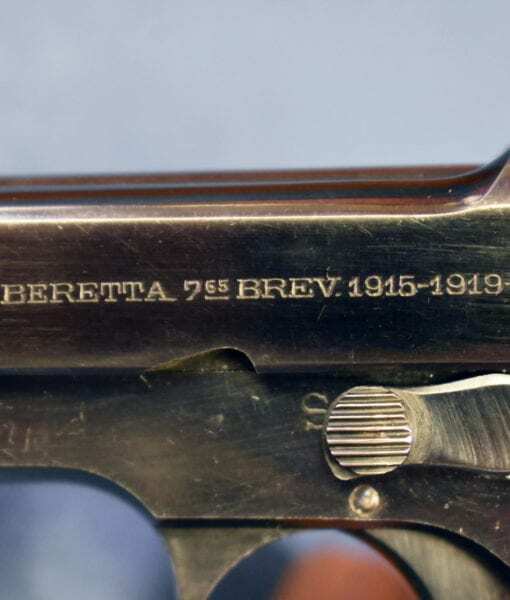 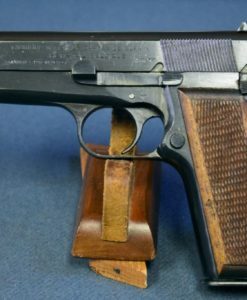 In 97% condition, we have a very rare Beretta Pistola Brevetto 1915-19 Modello 1931. 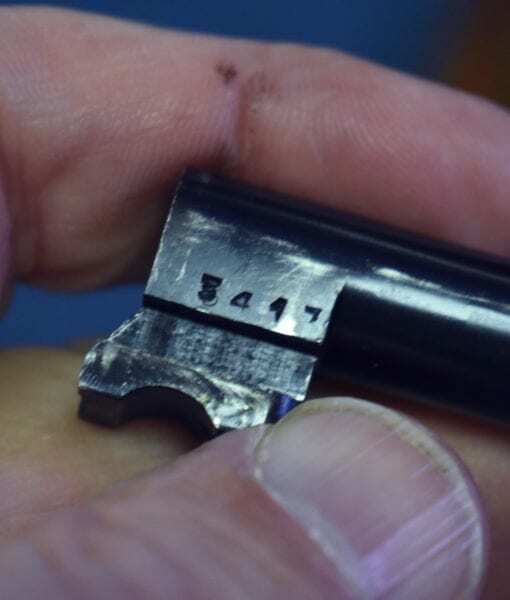 Calibo 7.65 Browning. 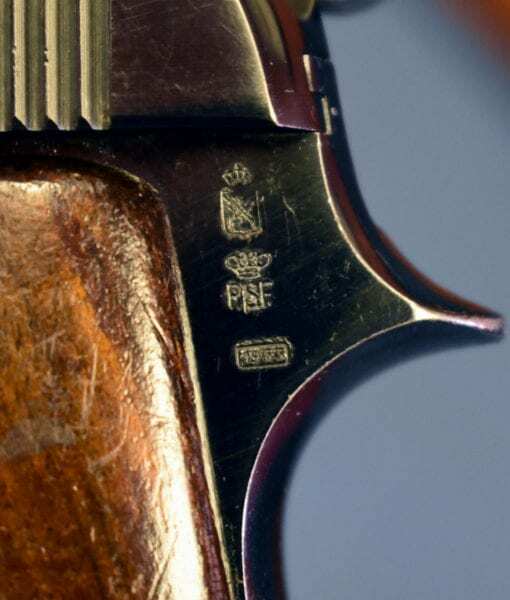 This example bears commericial proofs dated 1933 and very likely was issued to one of any number of Fascist organizations such as the National Road Militia or the Forest Militia. 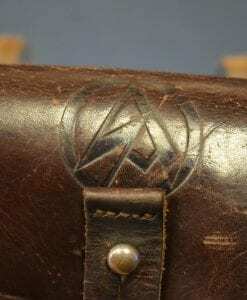 These were also purchased by officers and officials of the Fascist Party. 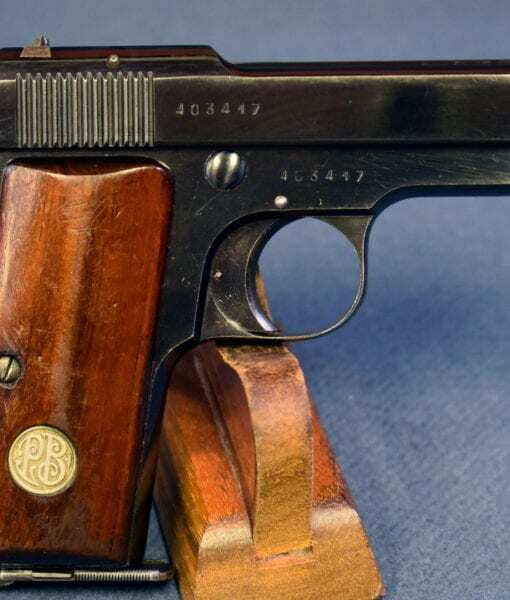 These are extremely rare pistols with only around 5,000 made with these proofs. 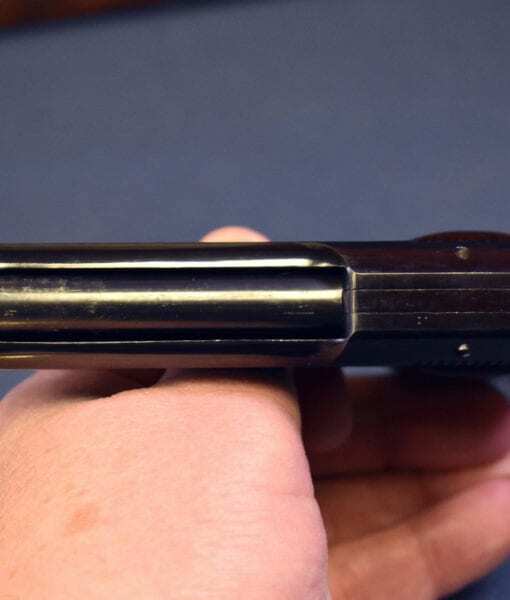 Of course the pistol is all matching and the bore is decent. 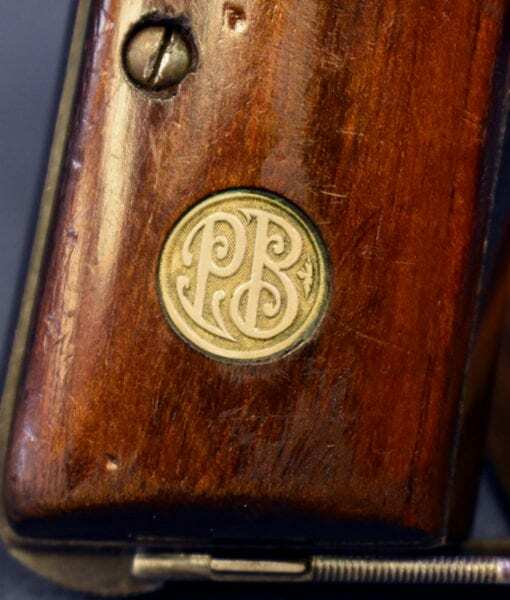 This is an extremely attractive example with a deep blue and nice walnut grips with the PB medallions. 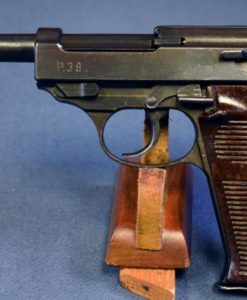 Most of the Modello 1931 pistols were purchased by the Navy so that makes this even less common. 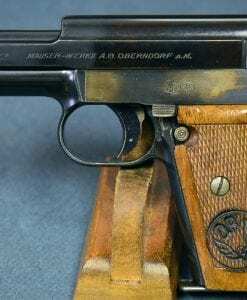 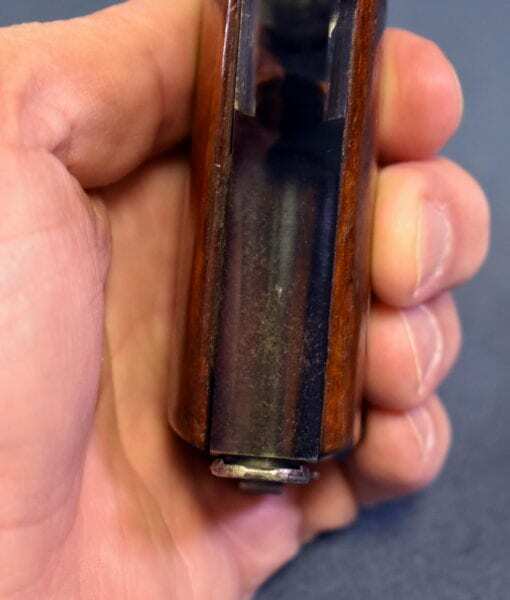 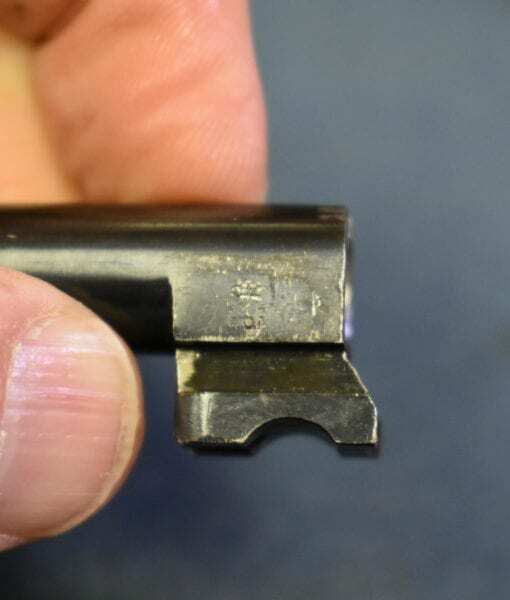 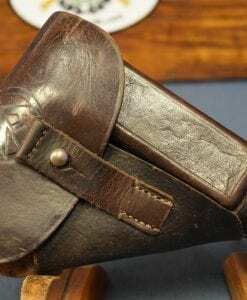 If you are a collector of Beretta Pistols this is a real find!